Some years ago, it would’ve been strange to think that YouTube would become the second largest search engine after Google (though, Google does own YouTube). Because of this, it’s important for a company to consider making different types of videos on this platform in order to grow its presence on the web. However, a video won’t rank in the search engine by itself. That’s why there are different strategies to make your content highly visible. The most common search engine optimization (SEO) tips about ranking on YouTube are no longer efficient because everybody is using them. So, there are alternative ways to get your videos to the top of the search results. Keywords should be your ultimate focus. Keywords are specific words that users write in the search bar to find what they're looking for. The equation is very easy; if you want to be found, you must think as a common user looking up videos according to their interests and make sure to get those words into your video’s title, description, tags, content, and thumbnails. Of course, you need to know your target audience very well to decide what content you’re going to run. It’s important to choose less competitive keywords, which means that you must select words that haven’t been used a lot to tag, describe and title the same type of videos you’re trying to rank. A title with a front-loaded keyword will truly help your content rank better. In the example above, the title address a very specific and clear topic and user concern, targeting an exact keyword that describes also what the video will be about and how it will fulfill the user's needs. This will help you to improve your click-through rate (CTR), which is a factor that YouTube’s algorithm considers to rank videos. Tags used to be more important than they are now. Still, they make a difference on your video's position, so you need to pay attention to them and give them some of your time. Tags are designed to help YouTube with taking in the content of your video. You don’t need a lot of them because you’ll only confuse the algorithm while trying to get what your video is actually about and that’s the last thing you want. That’s the reason why you should use a small amount of really specific tags. First of all, decide what keywords you’ll use for your first tag. Then, you’ll need to communicate the same thing you did in the first tag but in a different way. One of the best tricks to choosing the right options is writing your first tag into the YouTube search field and then read the list of suggestions displayed. Those are excellent alternatives to add as tags. This may sound obvious, but YouTube is mostly about watching and people often pick a video based on the thumbnail. So, what makes a thumbnail remarkable? Spending some time on them. It’s not magic, it’s working on it. Don’t use automatically generated thumbnails, rather, use custom ones and when you choose an image for them, make sure that it’s high resolution, at least 1200x720 pixels. Viewers won’t click on blurry thumbnails. Don't forget that a thumbnail may look different on various devices, so be sure to use big bold text, but don’t make it longer than 30 characters. What’s more, try not to use the same colors as YouTube, because you want to stand out, not blend in. And lastly but no less important: don’t ever cheat on your audience by using tricky thumbnails since if you lie, you’ll probably lose credibility and consequently watch time, likes and subscribers. 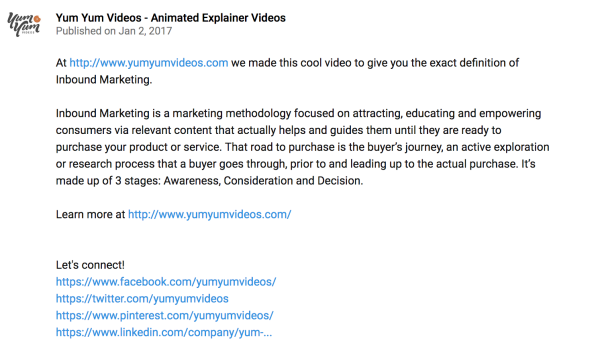 Longer descriptions help with understanding what your video is all about, but be expressive: write between 100 and 200 words in this section to describe the content. Even so, don’t mention the juiciest details, so they’ll have to watch the video anyway if they want to know more. Use this space as a tool to extend the information that you’ve given in the title. If you catch people's attention for the first 15 seconds, it’s probably that they will continue watching. This segment is really important because here’s where most viewers abandon a video. Youtube ranks according to watch time and there are different theories and recommendations related to how long videos on YouTube should be. Some advice says that if you create long videos (between 8 and 15 minutes) your watch time will automatically increase because the audience needs to stay longer to view all the content. But it really depends on what your channel’s subject is and your ability to hook viewers. Sometimes it’s better to launch only a few shorter but highly entertaining videos. These are not all infallible techniques and every so often it’s about testing and using YouTube metrics to discover what works better for your channel. Maybe you think analytics are not for you, but there is a lot of useful information that you should consider. You can discover what parts of your videos keep more people watching it in the Average percentage viewed metric. Check that out and take notes of the content in those parts that people are more interested in. It’s very important not to forget that YouTube is a social media platform where the audience interacts with your content, therefore tell them to participate and collaborate with you. Ask them to comment, but give them reasons to do so. For example, you can give them the chance to choose the topic for your next vìdeo. Get them involved, respond, answer their questions and use the comment section to add more interesting content. Ask them to subscribe to your channel, sometimes people don’t know they can do it. You can take great advantage of calls-to-action, which are specific requests you ask of the viewer. They’re normally at the end of videos but sometimes they’re at the beginning. It depends on your audience’s behavior and how and when you’ll use calls to action. To create them successfully, tell viewers exactly what to do. Keep it simple and short by picking one thing you want people to do and encourage them to click the button. Don’t make calls to action with long sentences. Rather, use just a few words and say the rest in your video. Tell your audience what benefits they’ll get by clicking that call to action. Again, choose only one, and as much as two, but don’t give your viewers a laundry list of things to do. The more you give to your audience, the more you’ll get back from them. It takes a lot of work, but it’s very important to build a relationship with your audience if you want to engage them. Playlists are very useful to structure and organize your content so that viewers can find it easier. This tool also helps to browse because it orders videos in a logical way. Besides, playlists can help you with your visual branding since you can repeat the same design elements once and again to build an identity and a unique image. When you name a playlist, make sure you use keywords of the videos involved. There are very different kinds of videos and some of them are more propense to hook the audience’s attention. Product review videos, how-to videos, FAQs, testimonial videos, and explainer videos are the most popular types on the web. 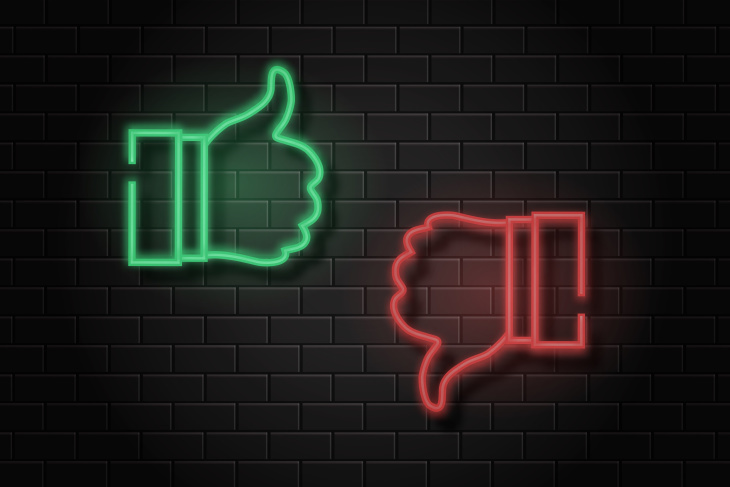 But, not all types of videos are suitable for every business, so, it’s important to research what would work best for each brand to rank on YouTube. Now you’ve got a lot of SEO tools to develop in order to rank your videos on the first page of YouTube’s search results. Don’t forget to use keywords and take advantage of each element as titles, descriptions, tags, and thumbnails. 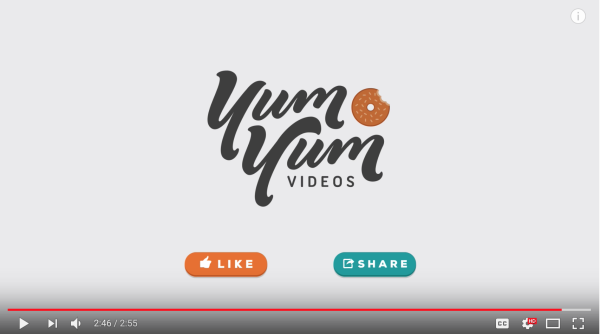 Remember that videos’ types and length will depend on how you want your brand to show up and the content you’ll share. It’s all about testing to discover your audience’s behavior. Draw on calls-to-action to engage your audience and use playlists to order the information in your channel. Also, make sure you choose a suitable kind of video for your company to improve your appearance and popularity on the web. But most important of all, trust your capability to apply all these recommendations to succeed. Víctor Blasco is the founder and CEO of the explainer video company Yum Yum Videos. He is also an audiovisual designer and video marketing expert.Aside from running the business, he loves studying Chinese philosophy and is a real geek for science fiction films and comics! The force is strong with this one.